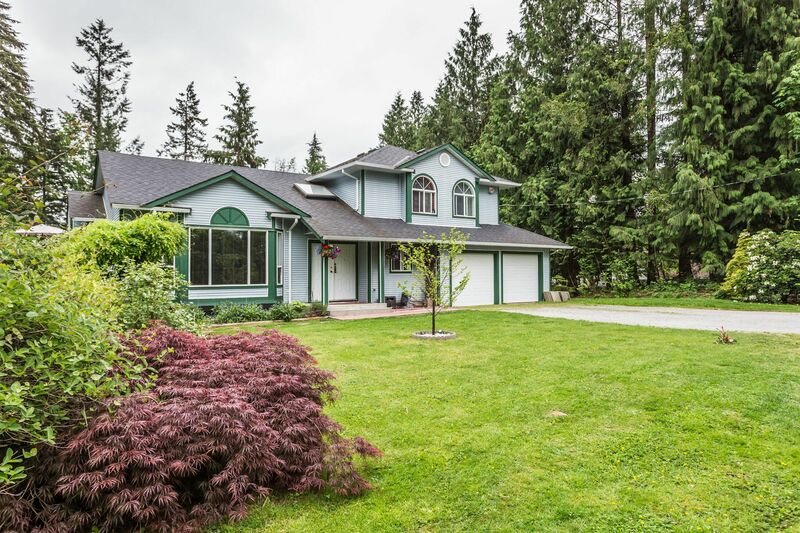 Large & private 3-storey home on a landscaped, 2.4-acre flat lot at the end of a quiet cul-de-sac; a rare opportunity to enjoy the serenity of rural life yet just 10 minutes from downtown Mission and closer still to all amenities and transit. With a spacious, 2-bedroom unauthorized basement suite complete with separate laundry, a double garage, ample parking (enough for RV, boat and all the toys) and great potential for building a shop and/or a carriage home, the options for comfortable family living, or extended/multi-family living, are plentiful. A well-maintained home with great natural light, easterly facing deck and lots of appeal. Call today to book a showing! NOTE: neighbouring property 34267 Hartman also for sale - together over 5 acres and dwellings enough for 5 families.